I don’t know about you, but more often than I care to admit, I react to women of a certain age, who look a certain way, as if they were, in fact, my deceased mother. I was in church today and half-way through the sermon I became focused on the sweater clad back of a lady I’d never seen before. From behind, from the shoulders up, she was a physical ringer for my mother. This woman was very thin with curly short red hair (gray at the temples) and she sat straight-backed throughout the hour. I couldn’t see anything else about her appearance, yet my brain dressed her in my mother’s polyester slacks and suntan L’Egg’s knee-highs with ballroom dance style open toe shoes. My mind raced. Certainly, she wore an elaborate jade and gold ring on one hand and a white gold and diamond Elgin watch on the other, even though that piece of heirloom jewelry my father had engraved “All my love on our 10th anniversary” in 1955, was actually on my own wrist. If looks could kill that poor lady would have been found under a pew. This, while the sermon focused on not judging others, droned on. Try as I might, I still have such fear in my bones that comes out irrationally. These episodes remind me there is still work to do. In my past, I’ve avoided friendships with older women who reminded me of my mother. I’ve avoided women who had red hair, or who played tennis, or who loved opera, because the associations with my own toxic mother just wore me down. I found it extremely difficult to trust older women most of my life. As I’ve matured, I’ve taught myself to tamp down those thoughts of imagined connectivity. I have to tell myself, no mad scientist cloned my toxic mother. Nobody dug her up and pulled out the stake. Nobody saved her DNA in order to replicate her particular case of Mad at the World. The truth is, the only person capable of cloning my mother is me. She may have been bad, but if she continues to bring the bad out in me, aren’t I sort of doing her job for her? There are days when my brain clones my toxic mother to ride in the car with me and criticize my driving, parallel parking, clothes, weight and massive failures in life. A tiny version of her often hides in my purse, the wrong purse for my outfit – that makes me look cheap – to strike me with pangs of inadequacy as I walk into a nice restaurant. Although my mother has been dead for five years, she planted and tended and watered so many fears and faith in my own shortcomings that her voice still hisses in my ear; her finger still pokes me in the back with the admonition to “show whatcha’ got.” Those are the bad days. The good days, like today, are when I see how her early negative imprinting still loops through my mind. I smile. I recognize that my mother only lives in my head and nowhere else and I choose not to listen. I turn the channel and pat myself on the back for rising above yet another attack of the Toxic Mom Clones. What happens when your neighbor turns out to be a toxic mom clone?? No sooner did I learn to recognize my mother as toxic, then I realized my neighbor was the same way….and attempting to control my life as well! Bringing fresh flowers because “fresh is so much nicer than those old silk things”. Barging in as soon as my husband comes home…knowing he WILL answer the door (because I no longer do throughout the day) etc etc. the list goes on. 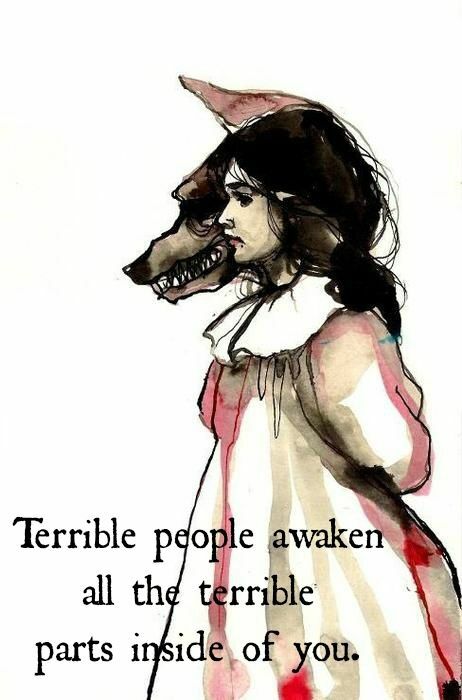 Do we, the victims of toxic mothers, tend to collect similar types of people around us?? Do they gravitate toward us? Do we send out some type of signal that attracts them to us? I’m new at all this and am attempting to regain control over my life and am hoping that ‘the new me’ will prompt these toxic mom clones to take one look at me and head for the hills rather than deal with me. I want no part of them. And, hopefully, they will no longer want any part of me. The good news is – you recognize toxic personalities! That you are not answering the door is great. Why let the vampire IN? You just keep doing what you’re doing. I would add to lock your door and say no thank you to unwanted gifts. I agree, but you know a determined TM will slide it thought your mail slot or leave it with a neighbor! Well, it’s one thing if the behavior reminds you of your TM. Then, yes, you have to protect yourself. But I’m really trying not to be influenced by appearances. Sometimes that’s tough! I had the opposite effect, I always made friendships with older women very easily, more easily than with women my own age. I always thought it was because of the lack of female relationships like having a healthy maternal relationship. I was very close to my Nana, my paternal grandmother. It affects all of us differently. Right now I have cut off ties to my TM, and I wonder how it will all end. Will my kids grow up and she fill them with horrible stories about me cutting them off from their Grandma? Will I regret it and feel guilty when she dies? Right now, my peace of mind matters more to me than if these things were a guaranteed result. I dread Mother’s Day. That was the last straw, and we fought, and I haven’t spoken to her since. I think your response might be a little healthier response to the stresses of dealing with a toxic mom. And I’m happy that you didn’t miss out on friendships, no doubt I did, over the years. You can drive yourself crazy with What If’s. I think all you can do is protect yourself and keep an open mind and just treat your TM as you would any other adult. It’s always a heartbreaker when there are grandchildren involved, because you do hear stories of TM’s being decent grandmothers. But, really, I don’t think I would have taken that chance. You just have to do your best and when your children are old enough to understand tell them your story and explain why you keep a distance and one hopes they would understand. If they can build a healthy relationship later, that’s great. I would just want them to have a heads up going in. You’d warn them about any other difficult relative or adult. Right? My biggest fear is that I will turn into a toxic mom… I am constantly analyzing myself. What I do. Should I do it differently? How does it affect my children? My friends? I am realizing that as my mother I am trying to hide certain things to show a perfect picture of myself and my kids. When I started dating a divorced man, I was not allowed to tell anyone, because it was a scandal. I remember the first time I visited with his kids (we were living in a different country) and she didn’t really wanted the neighbours to know. Oh well, she said, they’ll find out now… When I was divorcing him, again, I was not allowed to tell anyone, certainly not her family. There are many stories like that. But I find myself now too trying to paint the perfect picture of us. Hiding things that happen because we are not allowed to be flawed. Not allowed to have problems. Not allowed to have weaknesses. And I am starting to think: why am I doing this? Honestly, who is perfect? And people who are my friends, people who love me, they should accept me and my kids as we are. Everything seems to get a label these days. And that label seems to be a stigma. You know what I am having a hard time with at the moment? I have Tourettes Syndrome. There, I said it. I have only told one very good friend. She told me she never noticed anything weird about me. But I am good at hiding my tics (I think at least…) ANd perhaps she is just such a good friend she doesn’t notice my weirdness 🙂 But I remember when I was young, I would punch myself in the stomach till it was blue. I don’t remember what other tics I had at that time. But my parents once said that something was wrong with me and that they had tried to see a psychiatrist. I don’t remember that episode, I was probably 6 or so. When I was married, the stress with my stepkids and everything else (I did not realise yet my ex was an abusive man), made the tics really very bad. SO bad that my stepkids, in their early teens, mocked me and copied me. It hurt really badly… So I learned to hide my tics. My ex should have said something to them, that I realise now. It’s only about 4 years ago that I understood I have Tourettes. I haven’t talked to my doctor about it, not to my kids, only to one friend recently. It’s like a secret. A secret my mother would keep. And I don’t want to be my mother. I just came from the chiropractor where I get treatment for my neck hernia. As neck & shoulder jerking is one of my serious tics, it hurts my hernia more. And I just so want to tell and ask questions. But I can’t because I feel my mother’s eyes on me that something must be wrong with me and the outside world should not know. It’s stressful to hide the tics. If my best friend says I am not weird, perhaps it is time for me to believe this… I have to stop my mother’s voice in my head! I love this post. Because you finally did it. You told your truth. AND because you are questioning everything on this Toxic Mom topic, which is good for YOU. You are unfolding this puzzle of your life and you are wearing your Sane Glasses and you are trusting yourself to do the right thing. On the topic of Tourettes. I had a friend I adored in a college class that had Tourettes. He was an exchange student from Korea and his parents sent him to SF for college because they didn’t want people to know about his issue. They also pressured him to be – of all things – an airline pilot. The pressure just made his symptoms worse. So, while this young man was getting his education in a new language, in a strange country and even stranger town, they wanted to be able to brag that he was going to be a pilot! On his own he sought out so many different treatments. He took drugs. He meditated. He exercised to exhaustion. He took voice lessons (He figured it helps with stuttering..) – nothing helped. I remember the first day I sat next to him, I smiled and said hello and he just stared back. I decided to win him over. Each time we had class I brought him something funny. A little cube of bubble gum. A flower. A funny sticker. One day he handed me something first: a note that explained that he had Tourettes and that’s why he was so closed mouth. “Is THAT all?” I said, laughing. I assured him he could go crazy with me. Heck, even if he swore his head off it would be in Korean and it wouldn’t hurt my feelings! After we got to know each other, I’d say “How’s that astronaut training going? Your parents must be so proud.” And we’d laugh. As it happens in life, we lost track of each other but I heard that he finished his education went back to Korea and had a good job as a computer geek, making a good living. His parent, apparently, were okay with that. At some point, I think you just have to be your own person and the sooner the better. Sounds like you are on the right track. Thank you so much for your post. No doubt it will help others. Thanks Rayne. Yes, stress & pressure is the worst. I don’t know how bad your friend’s Tourettes was, but I would never take medicine. I once read a story of a woman whose husband had Tourettes, and he refused to take meds. She was complaining about that, because now she had to deal with his tics!!???!! I was just thinking: who are you to decide what another person puts in their body? And how can it bother you (physically )? She must have been ashamed. If he is fine with it, so should she. But I guess that trying to hide my tics so badly is probably the same as your friends trying meds to get rid of the tics. Any medical challenge is such a journey and the thinking changes over and over. So your best decision one year and in retrospect seem like the worst decision. But you just have to do your best. As they say in A.A. do the next right thing. That’s all you can do. And I think being honest takes a huge weight off. Which IS good for your health in general. Sending love and gratitude for your continuing support of TMT and many wise contributions. I just turned 60 and still coping with my mean mother. Like one of the writers before me, I thought all fat women were mean,mine was fat and intimidated me as a child. “Large and in charge”. I was the reason my parents HAD to get married (1952), they never celebrated an anniversary,I found out in my 20’s after cutting them out of my life. Looooong story, my husband was killed in an accident when he was 24, I was 23. My mother was horrible to me, I couldn’t take her anymore and cut her and my passive dad loose (I blame him too). Exhale….It’s been great ever since (1978), even tho she tried to send letters to me which I returned unopened. Nobody who hasn’t lived with a mean mom understands what we are talking about. My husband says he had a great childhood. His mom is a supportive and loving woman. Sometimes my mom comes out in me and CRAP it scares me. Sometimes my mother comes out of my mouth too. It happens. In fact I just put up an image about that at Toxic Mom Toolkit on Facebook. Thank you for sharing your story. Each story helps others. I just had a terrible week with my mother who lives out of state. She was deposited at my home 10 hours from where she lives, because my adult sister (whom she now lives with) wanted to take a vacation with her friend. My sister has a nice one level home, and there is nothing physically wrong with my mother at the age of 79, but she won’t stay alone (never would really; but she left me alone several times as a child when she traveled with my dad). My brother (who she dotes on) lives 10 minutes from them but she won’t stay with him nor has she ever been asked to,because she hates his wife. Up until 3 years ago, the living situation was reversed and my adult sister had lived with my parents for years (20+). My father died 8 years ago, so at that point my sister pretty much was “stuck”, even though for years me and my other two siblings told her to move out and live her own life. My mother never worked, traveled extensively world wide with my father as he was pretty sucessful executive. She always needed someone to take care of her. She doesn’t do anything for herself, though she thinks and says she does. Her reality, in her head, is so distorted from my own recollection, I just can’t seem to wrap my head around. I find myself questioning myself and the events of my life. I honestly have very few realy memories of my childhood. She lies and makes up these stories about the past, that I often times don’t really know fact from fiction. They both used to live 20 minutes from me. I’m a married, middle class, working mom in mid 40’s and have two girls of teen and preteen years. My mother never wanted to come to my home or do anything with my kids when she lived here . Even when she was still driving, she wouldn’t drive to my home, always had to take the kids to her and she would just sit and do nothing. Then get mad if the kids got bored. She’s extremely critical. I was always on pins and needles growing up like this when I was a kid. She lashes out, and it’s pretty mean. She keeps a beach home that is now closer to us than her. She was up visiting last year, and we had a terrible time, it was just way too long and I told my sister this, yet this year she insisted on sending my Mom to my home to stay for the week while I was working (which she literally sat on my couch and did nothing) and then we were to take her to the beach for the holiday weekend. She critisizes the kids, makes snide comments about how kids are today, than will change on a dime, want to buy them stuff or give them money….like that makes up for everthing, and wonders why they don’t want to sit in the same room as her, etc. This behavior would confuse anyone, but I am used to it. My husband and kids on the other hand just can’t take it. I have always worried that I would treat my girls horribly, since I grew up listening to my mother talk about hating women, and only praising the men in her life. I have almost gone the complete opposite direction with my girls because I found my mother to be such a toxic person. I’m pretty fiesty, I have always been. I think it was my coping mechanism growing up around someone like this. I feel I must fight for everything, and it seems really important for me to be heard. I have an almost distorted need for fairness in all things. Sometimes I can’t pick a side on things, because I feel so much that everyone has a right to be heard/have their opinions, etc. This past weekend we fought like we did when I was a teen myself. I just ignored as much of her comments, raving about my brother, telling my how I need to do things in my home, treat my husband/kids, etc. all week, but then I finally snapped. It was ugly. She made fun of me. She mocked me, screamed and got madder when I came back at her. I was just unable to ingnore her any longer, and the words just flew from my mouth. I had recently had a conversation with her about feeling really stressed at this point in my life and I got emotional. Something I have rarely done in front of my mother. I don’t trust her, and apparently I shouldn’t because it got thrown back in my face. To the effect that I am crazy and need professional help. The most horrible part of this is when my 12 year old daughter told her never to call me crazy again, and refused to say good bye to her when we left. Both my girls were crying and very upset. The only thing I truly regret is that my children had to witness this. I’ve been trying to keep this side of her from them for years. I always kind of cover things up or make a joke about it. But it was truly horrible. I have been so upset, I was extremely happy when I found this on the internet. I feel like such a bad person for having these feelings about a my elderly mother. But this seems to be an issue that is more common than not between mothers and daughters, as I have found researching this topic. Thanks for letting me spout off. She may be right, I may have some use for a therapist, but I think it would be to attempt to get her critisizing, annoying, negative voice out of my head finally after all these years. Thanks for sharing. It’s comforting to find someone with a similar personality and response to TMs. I have that fiesty side of me, too, and I hope you don’t feel at all like you are crazy. In fact, from someone looking from the outside, you seem quite sane. Reading your story, it reminded me of how much my TM also seemed to enjoy picking at me and riling me up and almost loved it when I argued back because it seemed to give her more justification that I was wrong since I got mad. And she loved continuing to dish it back and twisting everything I said. So if I can control myself, which is hard, I try not to listen and react to what she is saying because that is exactly what she wants. But I’m finding the best way to not react is just limiting my contact, and I am trying to cut off contact without offending or being too obvious about it, though I’m not sure that last part is quite possible given that I cannot control her reaction. Sigh. I have a toxic mom. In spite of her, I have a very happy life with great relationships with my husband of 25 years, 3 grown children, and friends. I am a Pediatric Nurse, which is probably a result of the way I was treated as a child. I have devoted my life to helping all children, including my own, be happy. I decided, at a very early age, that I would be my mother’s OPPOSITE. I have had very little contact with her for the past year. This on and off estrangement used to cause me great inner guilt, messed with my head, and pretty much destroyed my inner peace and happiness. After all, aren’t we supposed to honor our mother and father?? Then, a very wise man told me something that changed my life. It was like an epiphany actually. He said, “It is true that we should honor our mother and father. The bible says so. However, the bible also says that we don’t have to keep throwing ourselves into the lion’s den!” At that moment, I felt such a peace and quiet understanding. Funny, I’m not even a very religious person. I consider myself more “spiritual”. I just hope this message will help even just one person besides myself. This is such a great note! Thank you JoAnn for sharing your story. It’s funny about your ephiphany. This topic has come up again and again. I am told that the actual translation is Honor Mother and Father. And there are many people that believe that God is the ultimate Mother/Father figure. So it’s up for all sorts of interpretation. I’m glad that you released the guilt eventually. We should never feel guilty for protecting ourself and rejecting those who hurt us. Best, Rayne/Toxic Mom Toolkit. I like the other interpretation as well. If God is the ultimate Mother/Father, and he wants us to be happy, then we honor him by BEING happy. Happy Father’s Day all! Be happy!